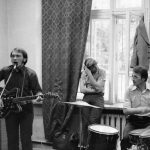 There is a consistency about Russia and marketing – it is usually inconsistent! Take the World Cup for example, it was brilliantly done and with finesse. Then – silence. Not unusual here as the concept of marketing and consumerism never really meshed fully with the Russian culture and as such only started making inroads during Peter the Great. The Soviet era also did not help marketing or promotion, with the exception of promoting the then communist ideology that was certainly not consumer oriented. 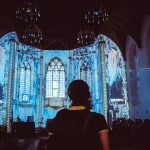 Cross marketing and the process of follow-through from idea to market for the visual and experiential treasures of Russia has not been strong, with the exception of iconic locales like St. Petersburg and Moscow. 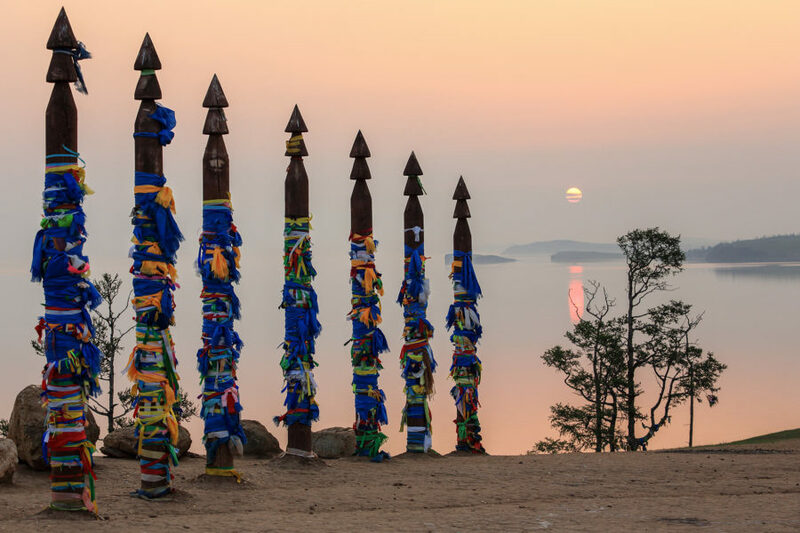 Those two destinations get a lot of business promotional support from the travel, hotel and transport players, and are remarkable showcases for the country. They are also the easiest and first access points to most travelers, a marketing slam-dunk. 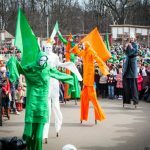 The rest of the vast Russian Federation is another matter – perhaps its size, the distances involved, or the six plus months of ‘brisk’ temperatures that are daunting. There is so much inside this vast territory that is unusual, beautiful and even terrifying – from active volcanoes, to extreme taiga, virgin forests, tigers and bears. All this inside a country where as on a canvas, the history of man has been indelibly painted, from Vikings, Mongol hordes, Napoleon’s armies to recent football pilgrimages. All have left behind reminders of their times. The sheer scale of the place takes one’s breath away, and much of it untouched and undiscovered by global travelers. While Russian companies do promote hotels, flights, cruises and rail journeys, they are usually limited to specific destinations and not so much the idea of Russia as a broad-based destination for tourism, eco-tourism and similar. They should. 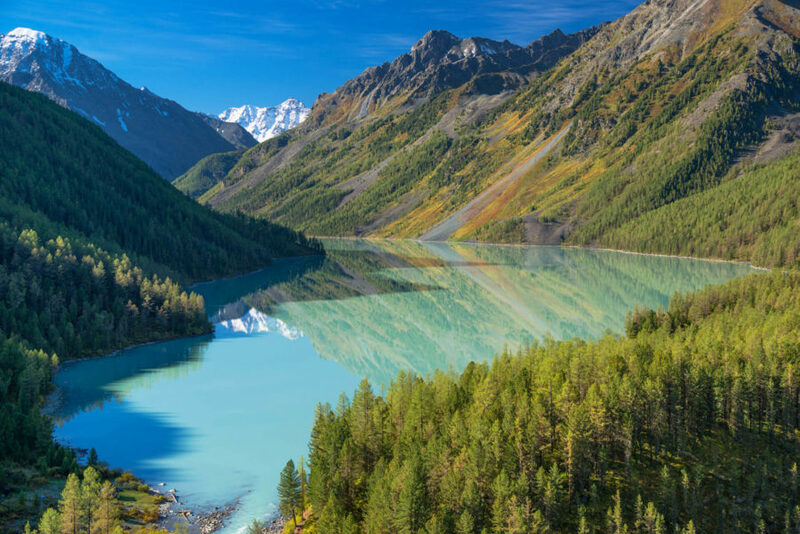 Russia reveres its history, as it does many of its natural wonders. As it happens, the other day I spoke with a British fellow, David Urban, who is a young filmmaker and the son of the renowned Stuart Urban (a filmmaker) and listened to his business vision, which is still ongoing, on doing a video series covering Russia. It is called Beyond Your World and is being done together with National Geographic(which we all should know). Several episodes have already been self-financed and filmed. Their approach has been unusual as they chose to base their filmed saga on people and places in Russia awarded and listed as World Heritage Sites by UNESCO. If ever there was an effective way to lastingly promote the attraction of Russia as a destination, and make a more consistent national marketing profile, this seems to be it. Projects like this stand the test of time, and deliver returns well into the future. Hopefully the Russian Government through its Ministry of Tourism, and transport companies like Russian Railways, or the airline Aeroflotand the many tour and lodging companies will get the ‘hint’ and step up to the plate. It would be an excellent win for tourism across Russia, and an eye-opening treat for travelers tired of the usual fare. Before I am too carried away with the ‘should have, would have, could have’ aspects, perhaps a clearer picture of the World Heritage Sites in Russia might be a good start. 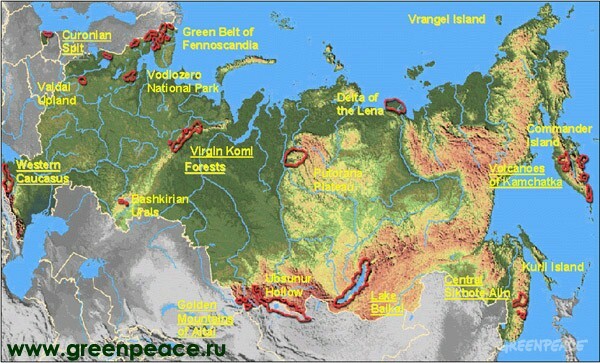 There are 28 UNESCO World Heritage Sites in Russia. Seventeen are cultural sites and eleven are natural sites. It is worth noting that there are a further twenty-four Russia sites now listed for review, study and possible inclusion. These places are seen to be of ‘Outstanding Universal Value’, nominated to the World Heritage List by the World Heritage Committee. These places or buildings are considered to be of special importance to everyone, across countries and generations. They represent what is truly unique, or the most significant, or best examples of the world’s cultural and natural heritage. So where are these places which are worthy of this distinction in Russia? For those who are equally curious, I have listed the places under CULTURAL, and NATURAL. It is quite a tour, so enjoy! Architectural Ensemble of the Trinity Sergius Lavra in Sergiev Posad (1993) – The Trinity Lavra of St. Sergius complex, situated in Sergiev Posad northeast of Moscow, it has been called ‘the pearl’ of Russian church architecture. An active center of the Russian Orthodox Church with a working monastery on its grounds, it is a prime example of historic military and religious architecture dating to the 14th century. Assumption Cathedral and Monastery of the town-island of Sviyazhsk (2017) – The Assumption Cathedral and Monastery of Sviyazhsk was emblematic of the expansion of the Russian state when built in the 16th century on an island at the confluence of the Volga, Sviyaga, and Shchuka rivers. Today, the cathedral is noted for its very rare collection of Eastern Orthodox fresco murals. Bolgar Historical and Archaeological Complex (2014) – The medieval settlement of Bolgar, on the banks of the River Volga, was once the capital of the Mongol Golden Horde khanate. Remnants of a mosque and Kazan Khan’s palace and shrine are reminders of the area’s Islamic history, and Tatar Muslims consider the site sacred to the present day. Church of the Ascension, Kolomenskoye (1994) – Built in 1532 to celebrate the birth of the prince who would later be known as ‘Ivan the Terrible’. The elegant Church of the Ascension at Kolomenskoye combines Byzantine, Greek, Roman, Gothic, and ancient Russian styles to impressive effect. 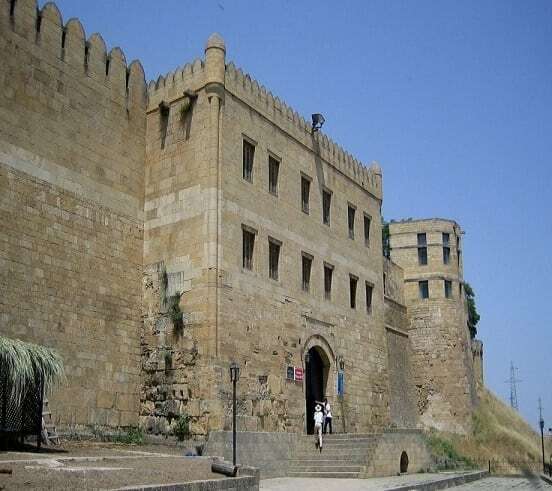 Citadel, Ancient City and Fortress Buildings of Derbent (2003) – Perched on a mountainside overlooking the Caspian Sea, the citadel of Derbent has seen the rise and fall of multiple empires from the fifth century to the present day. It witnessed the Arab, Seljuk, Mongol, Timurid, and Safavid periods, and finally the Russian Empire. 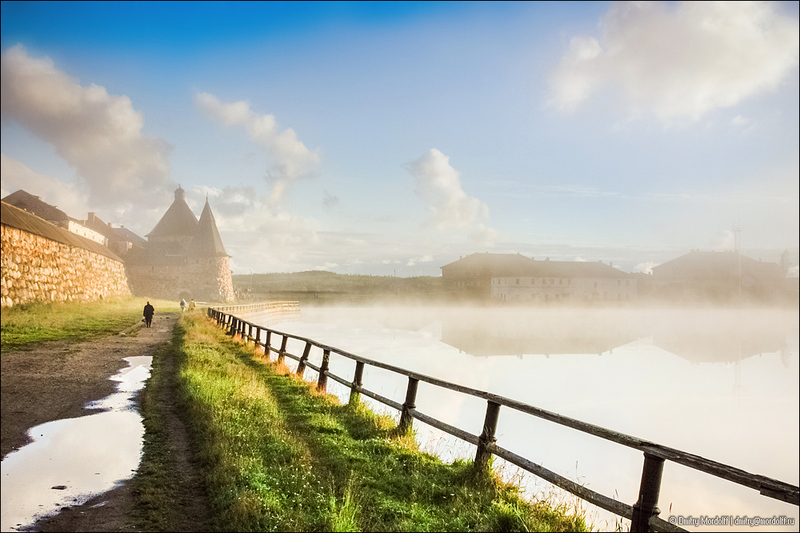 Cultural and Historic Ensemble of the Solovetsky Islands (1992) – The remote location and harsh natural environment of the Solovetsky Islands in the western White Sea has made them an ideal site for monastic settlements, exile outposts, and even a Soviet prison camp over the centuries. Curonian Spit (2000) – The Curonian Spit is a narrow peninsula separating the Baltic Sea and the Curonian Lagoon. Despite the ravages of wind and waves, it has been continuously inhabited since prehistoric times, a testament to the ongoing struggle between human habitation and the forces of nature. Ensemble of the Ferapontov Monastery (2000) – Perched on a small hill in northwestern Russia, the austere white Ensemble of Ferapontov Monastery was a seat of political influence from the time of its inception in the 14th century. It played a role during key moments in Russian history, including the approval of Ivan III’s authority as the first Emperor of All Russia and the exile of Patriarch Nikon. Ensemble of the Novodevichy Convent (2004) – The Novodevichy Convent, an elegant Russian baroque complex perched on the banks of the Moscow River, was once the residence of ladies of the aristocracy, including members of the Tsar’s clan. Its cemetery is the final resting place for some members of the royal family, and Russians of note. Historic and Architectural Complex of the Kazan Kremlin (2000) – As the only remaining Tatar fortress in Russia, the 10th-century Kazan Kremlin stands as a reminder of the area’s history as a Muslim territory in the time of the Golden Horde and the Kazan Khanate. Historic Centre of Saint Petersburg and Related Groups of Monuments (1990) – Despite its relatively short lifespan, St. Petersburg boasts a storied past and wealth of architectural beauty. Built at the beginning of the 18th century under Peter the Great, the city known as ‘The Venice of the North.’ Its famous palaces, cathedrals, and residences incorporate a mix of Baroque and neoclassical styles. Historic Monuments of Novgorod and Surroundings (1992) – Novgorod’s location on strategic trading routes between Central Asia and Northern Europe made it Russia’s first capital in the ninth century. Known for its stone architecture, the city also holds religious significance as the site of the first full translation of the Old and New Testaments into Slavonic in the 15th century. Historical Centre of the City of Yaroslavl (2005) – Yaroslavl dates to the 10th century, but was made a model neoclassical city under an ambitious urban redevelopment project launched by Empress Catherine the Great at the end of the 18th century. The city is known for its 16th and 17th century churches, including the striking red Church of the Epiphany. Kizhi Pogost (1990) – On a narrow spit of land on the Kizhi Archipelago in Lake Onega, a pair of wondrous wooden churches crowned by a cascading series of cupolas present an unexpected spectacle. The Kizhi pogost (or enclosure) is a unique example of Russian wooden architecture. Kremlin and Red Square, Moscow (1990) – Moscow’s Red Square is undoubtedly the most iconic vista in Russia. 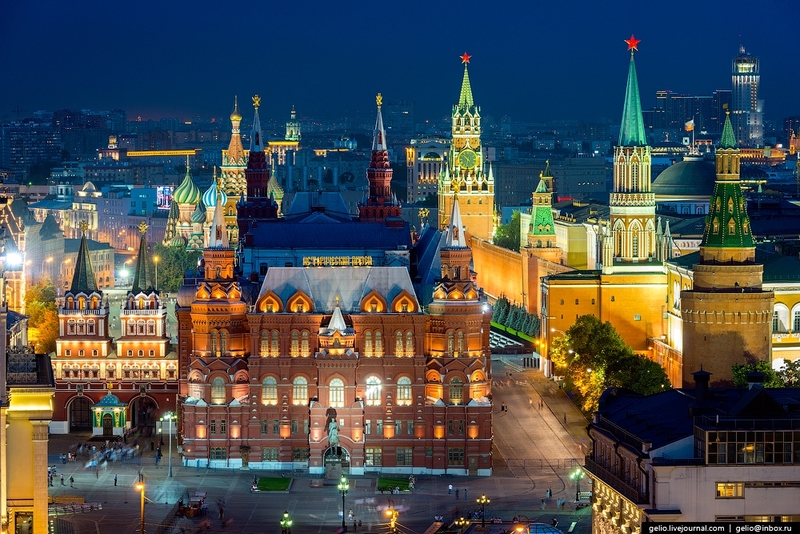 The square, flanked by the heavily fortified Kremlin compound and the flamboyant, multicolored St. Basil’s Basilica, has been at the center of the many twists and turns in Russia’s turbulent political history since the 13th century. Apart from a 200-year break during which the capital moved to St. Petersburg, Moscow’s Kremlin is the center of power in Russia. Struve Geodetic Arc (shared with other countries) (2005) – A marker on the island of Gogland in the eastern Baltic Sea delineates a point in the Struve Geodetic Arc, an ambitious global mapping project. Between 1816 and 1855, scientists placed points in 10 countries spanning more than 1,700 miles in a massive survey project intended to establish the exact size and shape of our planet. White Monuments of Vladimir and Suzdal (1992) – These two artistic centers are located in central Russia. These artistic centers also represent the architectural history of Russia. A great many public and religious buildings were built from the 12th and 13th centuries. Central Sikhote-Alin (2001) – A startling diversity of animal species roam the central Sikhote-Alin mountain range. The unique combination of landscapes, taiga mixed with subtropics, provides a habitat where northern species like the lynx and brown bear coexist with southern species like the tiger. Golden Mountains of Altai (1998) – Stretching over an expanse of more than 1.6 million hectares in southern Siberia, the Golden Mountains of Altai are a place of windswept hillsides and snowy crags, icy clear alpine lakes, and rare diversity of wildlife, including the once endangered snow leopard. Lake Baikal (1996) – At 25 million years old and 5,500 feet deep, Lake Baikal in southern Siberia is the oldest and deepest freshwater lake in the world. This precious resource contains 20 percent of the world’s unfrozen freshwater reserves. Landscapes of Dauria (2017) – The Landscapes are shared by Russia and Mongolia and highlight the outstanding quality of the Daurian Steppe eco-region. This region begins in the eastern side of Mongolia and extends toward Russian Siberia. This landscape is most noted for its cyclical climate changes that go from dry to wet. At the same time, it is home to a diverse ecosystem and wildlife species that are considered of global importance. The unique ecosystem provides a natural habitat for rare fauna species like the Great bustard and White-napped crane. It therefore serves as a critical migration path for birds and the Mongolian gazelle. Lena Pillars Nature Park (2012) – A dramatic wall of towering stone pillars carved over millennia by shattering ice loom above the banks of the Lena River in Lena Pillars Natural Park. Some of the rock columns rise more than 300 feet and the area contains fossils dating back to the Cambrian Age. Wrangel Island Reserve (2004) – This arctic wonderland is populated by polar bears, walruses, lemmings, and reindeer, as well as a beacon for grey whales migrating from Mexico. Wrangel Island Reserve is a treasure of natural beauty and diversity and a fascinating study in the workings of evolution. Putorana Plateau (2010) – The vast, 1.9-million-hectare Putorana Plateau in Central Siberia hosts arctic and subarctic ecosystems, striking vistas, mountain peaks, and untouched lakes and rivers. Uvs Nuur Basin (2003) – The centerpiece of the Uvs Nuur Basin is an expansive saltwater lake. The surrounding land, which straddles Mongolia and the Republic of Tuva in the Russian Federation, ranges from cold desert and steppe to marshland and forest. Snow leopards and mountain sheep roam freely over the white peaks above. 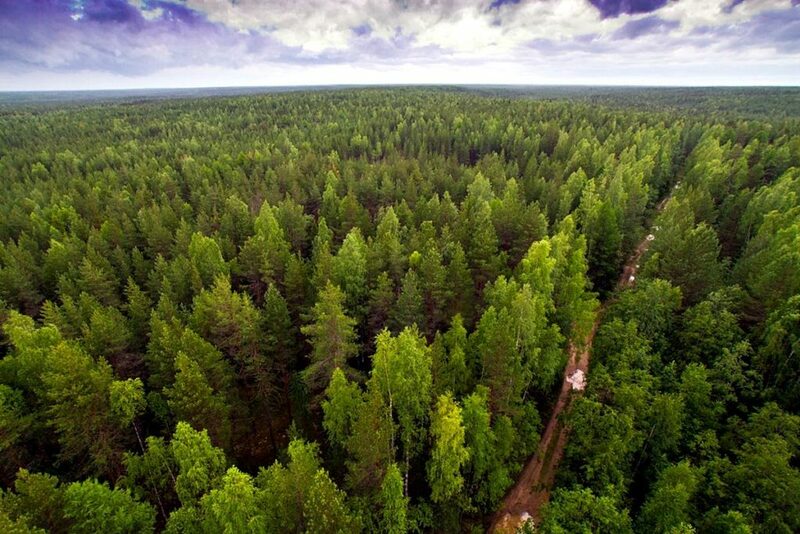 Virgin Komi Forests (1995) – In the Ural Mountains, the Virgin Komi Forests are one of the most extensive areas of untouched taiga remaining in Europe, covering more than 3.2 million hectares. Volcanoes of Kamchatka (1996, 2001) – One of the few places in the world where active volcanoes are interspersed with glaciers, the Volcanoes of Kamchatka are a uniquely dramatic landscape and home to sea otters, brown bears, eagles, and the world’s largest variety of salmonid fish. Western Caucasus (1999) – The Western Caucasus is a natural site that encompasses the extreme western end of the Caucasus Mountain range in Russia. This is a rare mountain area as it has had very little human impact and is therefore remarkably pristine and well preserved. The mountain region is comprised of alpine and subalpine pastures. These pastures are inhabited only by wildlife and display a wide range of ecosystem diversity. Meanwhile, it is also home to many endemic wildlife and plant species. 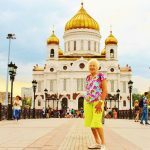 When wanderlust next calls to your travelling spirit, and the usual fare of Mediterranean or Pacific beach spots, and tourist meccas have little new to offer, consider going beyond your world and get to know what is inside this country called Russia – it will surprise you. The country is gradually being ‘discovered’ as a first-rate tourism destination with wide and deep breadth and dimension, and if all goes well, before too long it may be able to call itself home to a full fifty-two world heritage sights.